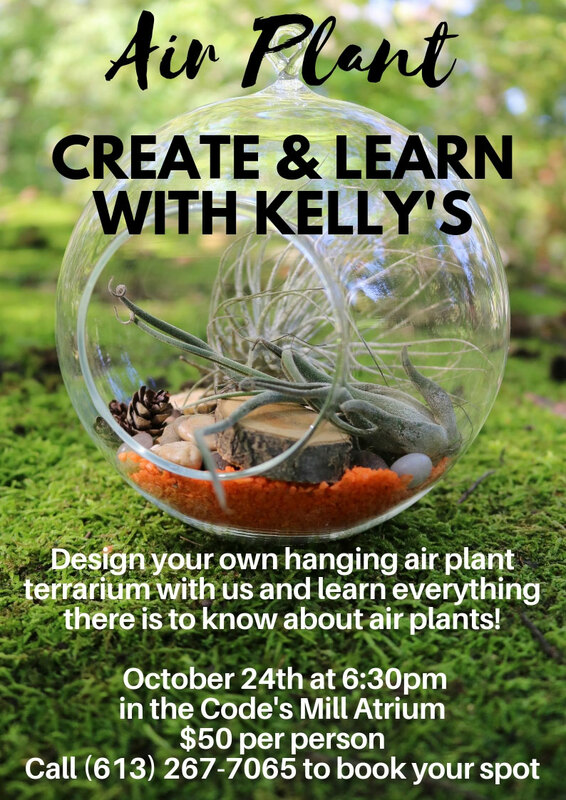 October 24 at 6:30 pm in Code's Mil Atrium $50 per person Design your own hanging air plant terrarium with us and learn everything there is to know about air plants! Enter your email address to receive fresh posts filled with flowery news and offers. Copyright © 2018 Kelly's Flowers & Gift Boutique. All Rights Reserved. Designed by Crummy Media Solutions. Developed by Paradime Design and IT Solutions.